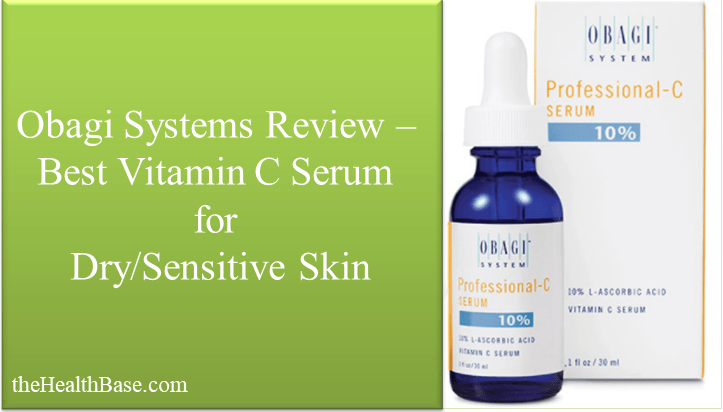 →Obagi Systems Review – Best Vitamin C Serum? Hey guys, Rachel here once again! Welcome to my review of the Obagi Systems Serum – the cream that has been specifically designed for people who have dry and/or sensitive skin. If you would rather read a comprehensive guide on Vitamin C Serums, or perhaps you’re looking for more all-round Serum, then feel free to click on the relevant links. In this review I will be discussing the cream created by Obagi Systems in an effort to explain just why we at the Health Base rate it so highly. To do this, I will look at several different aspects including the brand behind the product; the physical makeup (packaging and formula); the warranty; and the overall cost effectiveness. If you’ve read any of our product reviews here on the Health Base, then you’ll know that we place a lot of importance on the brand name and the reputation that lies behind the product. 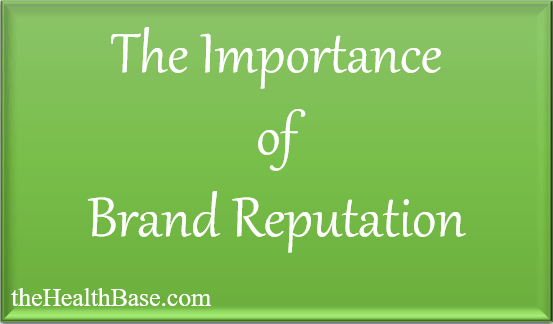 To us, the brand is just as important as the product. When it comes to Obagi Systems, the best way to describe their brand is that it has lasted the test of time. The company was established in 1988 and this pharmaceutical company has been churning out top level products ever since. A key reason why I was so attracted to this particular brand was because their focus is directly on creating products that deal with the major skin ailments that people suffer from. These include different types of skin damage; rosacea; hyperpigmentation; acne; and signs of aging. When you combine this specific focus, the age of this brand, and the rock solid customer reputation that's there for everyone to see, then all in all this results in a very trustworthy and respected source in which to purchase products from. When it comes to evaluating the quality and cost effectiveness of any product, it’s important to have a clear image in your mind of exactly what it is you’re looking for. A great way of doing this is to create a list of different aspects that you’d want to see incorporated in the product that you have your eye on. This essentially what I’ve done with the product we're looking at here today – I’ve created criteria that I feel a top quality Vitamin C Serum should have. To begin with, I focused on the physical elements that a cream needs to possess. This includes the packaging of the cream and also the formula which makes up the actual serum. Next, I decided to look at the Vitamin C that was incorporated into the serum. This is a key element as there are quite a few different types of Vit C which can be used. Each one has its own pros and cons in terms of being suitable for varying skin types. Packaging is a key consideration to take into account when it comes to deciding on which product is the right one for you. The reason for this is because Vitamin C Serums have ingredients in their formula that will weaken and dissipate at a quick rate if exposed to too much air or sunlight. This will result in the formula soon becoming ineffective. So then, the pertinent question is what type of packaging is needed in order to prevent this? Well, to prevent degradation, a top quality cream needs to be packaged in a container that is both airtight and opaque. This type of packaging will significantly reduce the chances of your serum being exposed to too much air or sunlight. For Obagi’s version, you can see quite clearly from the above picture that they provide a container that is both airtight and opaque. This will greatly increase the shelf life of the serum. It’s important that I also add that when you start using your cream then the best bet is to stick it in the fridge in between uses. VERDICT: Perfect packaging for a Vit C cream. When it comes to any health or beauty product, the formula is something that is of the utmost importance. If the ingredients are not correct, or if the dosage of these ingredients are off, then the product’s quality will suffer. This is especially true for Vitamin C Serums. Now, obviously, the key ingredient in such a formula is the mineral itself. Such is its importance that I decided to give it a full section which is coming up next. However, in saying this, there are other key ingredients that are needed to make a product top level. Such key ingredients include aloe vera, rosehip, hyaluronic acid, witch hazel, green tea, organic ole, and ferulic acid to name just a few. These ingredients, and others, are key in giving a serum the needed nutrients and vitamins as well as helping to rehydrate the skin that it’s applied to. The great aspect about the product produced by Obagi is that they’ve constructed their formula to suit dry, irritated and sensitive skin. This is unlike the majority of other serums who focus on supplying a product that is broad in terms of skin suitability. Because of this specific nature, the result is a product that is top class at treating the relative skin type. VERDICT: Perfect blend of additional ingredients that were specifically chosen for treating dry or sensitive skin. There are two problems when it comes to evaluating the quality of the Vitamin C concentration used in a serum. The first problem is that there are quite a number of different variations of Vit C – both in a pure form and in a derivative form. The second problem is that there is no agreed upon best one within the health and beauty industry! In saying this, it is pretty universally thought that Vitamin C is best in its most natural and potent form – that being L-Ascorbic Acid. The problem with this pure form of the mineral is that it can be quiet heavy duty on the skin – this would then give the impression that it would be unsuitable for dry and sensitive skin. However, this is where Obagi get it spot on with their formula. While they do indeed use L-Ascorbic Acid, they keep the concentration quite low at just 10%. This means that you get the best Vit C form that there is, but not to the extent where it will negatively affect your dry or sensitive skin. VERDICT: Both the ideal type and concentration for anyone looking for a serum that suits dry or sensitive skin. This brand does offer versions in 5, 15, and 20% Vitamin C concentration dosage. From our testing and research we firmly believe that the 10% though is the best option for dry/sensitive skin. Warranties, or money back guarantees as they’re also called, are vital things to look out for when you’re thinking of making any purchase. Without the safety net that a warranty provides, there will always be a risk that comes with purchasing a product or service. In all honesty, this is the single area where the Obagi option does not get top marks in terms of quality. My criticism comes from the fact that they only supply a 30 day warranty with their product. While this is a standard warranty for Vitamin C Serums, I personally would like it to be another few weeks in length or even a month. In comparison, the Kleem Organics version comes with a full year warranty. In saying this, the reason why 30 days is the industry standard when it comes to warranties is because you should really see if the serum is working or not after a couple of weeks. You won’t see the full benefits for 4-6 months’ time, but you’ll definitely be able judge its effectiveness after 14 days or so. VERDICT: Shorter than I’d personally like. The trick is to start using the cream consistently from the time of purchase – this will ensure that you’ll be able to judge its impact well within the warranty period. Ultimately this is the component that will decide whether or not you make that purchase – whether or not you’ll part with your hard earned cash for a product or service. By weighing up all the previously mentioned elements, you should be in a good position to make the correct decision. 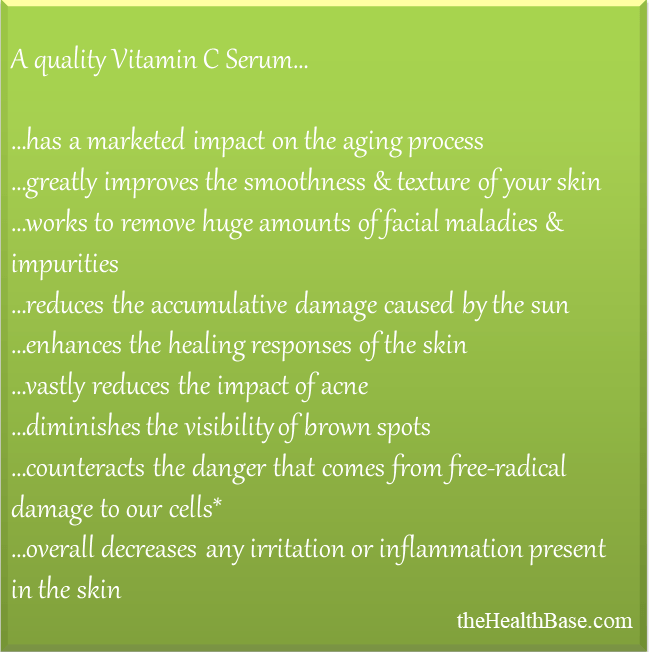 With regards to Obagi Systems’ Vitamin C Serum, it’s a tough call in deciding the cost effectiveness. As I’ve mentioned, the product itself is top notch. From the formula; to the packaging; to the ingredients; to the Vit C concentration, this product really is top level. However, the cost of this product with regards to a one 1oz. bottle of the 10% concentration may cause eyebrows to be raised. Again, as with the warranty, the Obagi one doesn’t compare favorably with the Kleem Organics version of which you can get three 1oz. bottles for a slightly cheaper price – i.e. three times the amount of serum for less money. So, why is it that bit more expensive? Well, the reason is simple – this brand's cream is more expensive than other options because it's a product that has been specifically designed for dry and sensitive skin. This makes is unlike other options which are broader ranging in terms of skin suitability, yet ensures that this particular serum is more effective for this particular skin type. VERDICT: If you feel you have dry or sensitive skin, then the Obagi cream really is the best option. That extra bit of money ensures that you get the best serum for such skin types. However, if you feel that you don’t need such a skin specific cream, then check out my Kleem Organics Review – this is the option that we at the Health Base believe to be the top product in this niche. You can find this review at the bottom of this page.